"To Pre or not to Pre" Question is driving me nuts!! Have been struggling with the pre amp issue for more than a couple of years now. Have had some luck with passive pre amps but only when driven by a decent phono stage, CD always seemed dry and lacking drive without a good active preamp. Like most here have been looking at the optical light dependant resistor volume control type passive (well no gain anyways). Having some luck here but still have to build my Lighter Note kit. I am currently testing another unit, see http://killerdac.com/forum/index.php?topic=141.0. This unit is really starting to grab my attention. The competition to the passive is this knock off of the Japanese Audio Note Kondo line stage. This thing sounds pretty good, bloody should as well the components cost a small fortune. Shinko resistors, Vcaps etc. My main problem is I have tons of records, CD's, R2R tapes, cassettes etc and I need a lot of inputs. I am destined to go the Killerdac route but this issue is giving me the shiezer!s. Anyone else in the same boat? Re: "To Pre or not to Pre" Question is driving me nuts!! That preamp does look good gamve. Such expensive caps there yet still using a alps blue volume pot (nothing wrong with them, but they are cheap compared to the rest of the components) ? Dont worry, the killerDAC works great with passives Tested and proven so far!! In saying that, I guess it depends on the input stage of the power amp.. but so far, no complaints from any owners that I am aware of! 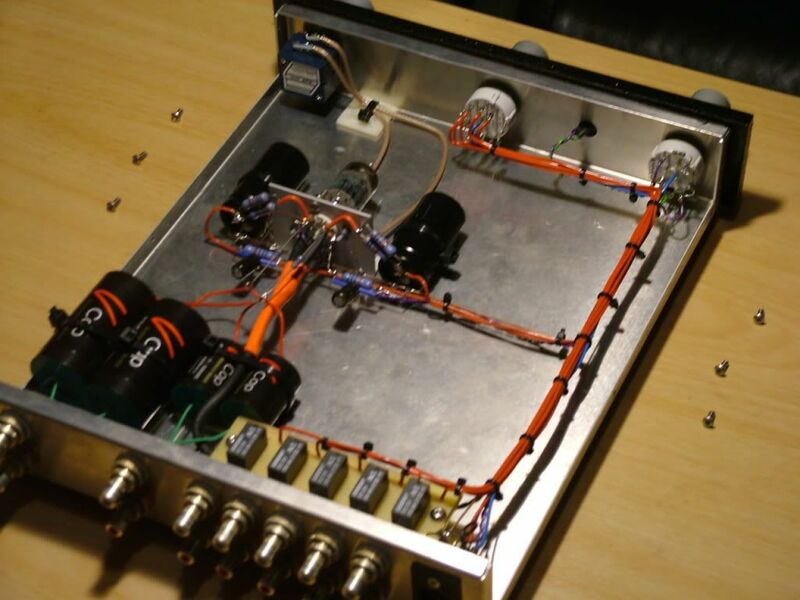 And here's a link to TubeGuru.Hu's professional level preamp which he believes matches the performance of the Kondo. (he also has access to Kondo's Ongaku and Kondo Niero amplifiers and has made reissues of them. I find his work really impressive). The Alps Blue has no sonic signature in this pre. The volume is controlled by a shinkoh resister on the grid of the 5687. All of the signal goes through this resistor. The alps is paralleled across the shinkoh and changes the value of the shinkoh resistor changing the value hence the volume...very clever. Very true Mario. Your system definitely has the magic! And true the price of the component doesnt matter. Just like how I much prefer my stepped attenuator which uses $1 takman rex carbon resistors over the bloody expensive ($20 per resistor) vishay z-coil naked metals! (on my system). Damnit, I don't understand the concept of how paralleling the shinkoh with the pot will make it so the signal doesnt go thru the alps pot!! Does the volume change in steps or is it gradual(ie. like turning the alps pot)? Is there any advantages (theoretical or practical) in this design over using a stepped attenuator with individual resistors for each level? My electronics knowledge is basic at best and I'm not exactly sure on the theory of this except to say it works just like a step less plastic pot and it works very well. 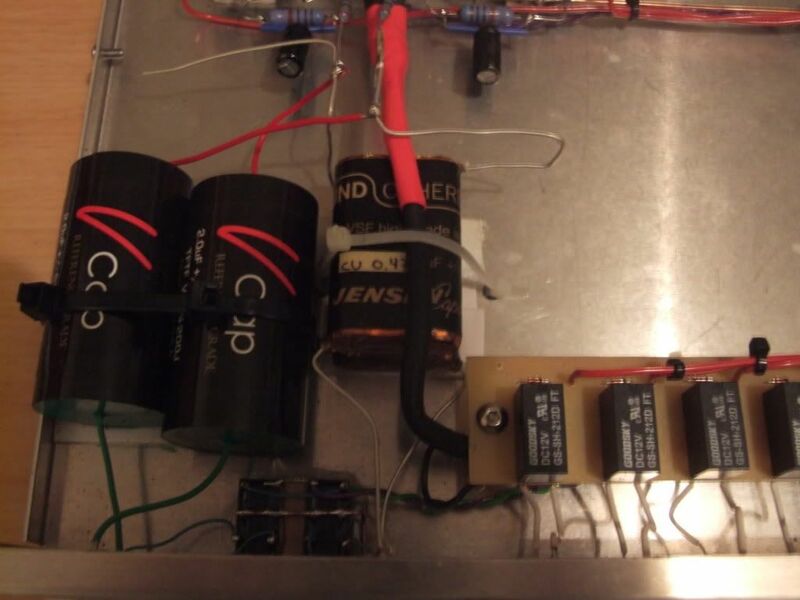 The guy who built this amp for me said he had tried several volume control devices with this circuit including Siden stepped attenuators with shinkoh's, TVC's and everything in between. His comment was that this works best with this circuit bar none. Hey I have heard plenty of systems and this is amoung the very best active pre's I have ever heard at any cost. I was lucky to find someone building this circuit and even luckier to have a builder willing to modify it to my exact specification. I'm very lucky to own it. 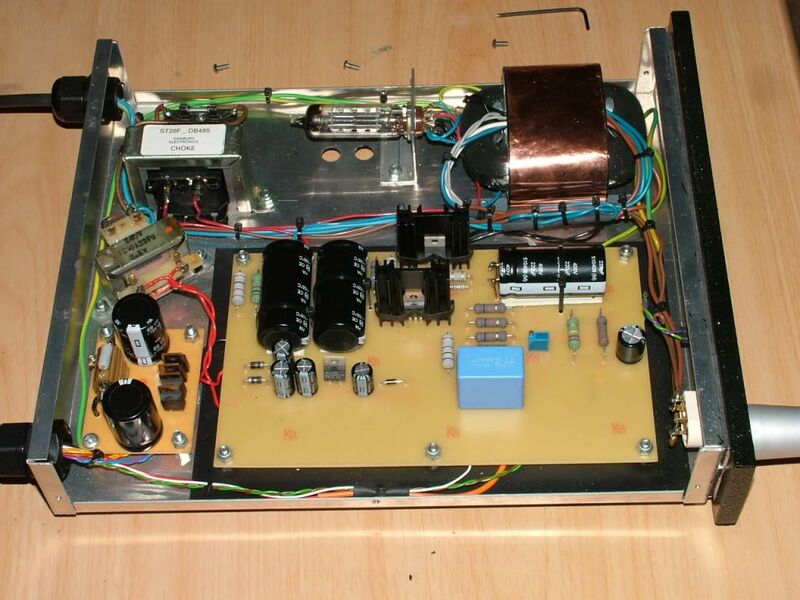 The original amp was a single box affair with ordinary switching and single outputs. I brought this one and was so impressed with it I went back to the builder and got him to build another one to my spec. 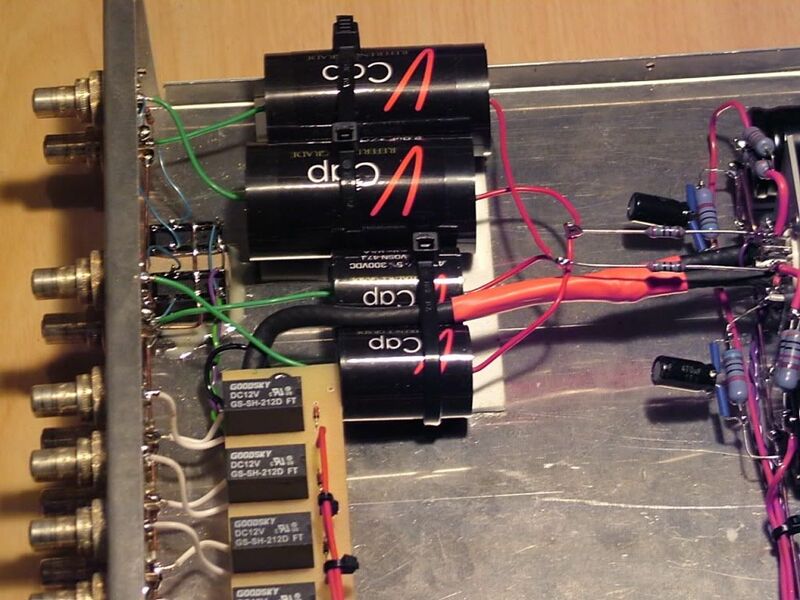 Separate power supply, relay switching, dual outputs (the big VCaps go to dual sub woofer). Price was ridiculously cheap compared with Audio Note stuff and I reckon I got most of the important stuff being the SQ. so basically a voltage divider, with the pot varying the lower leg of the divider, and the signal only passing through the first (quality) resistor on the way to the tube grid. That could well be the very setup. Works a treat at any rate. 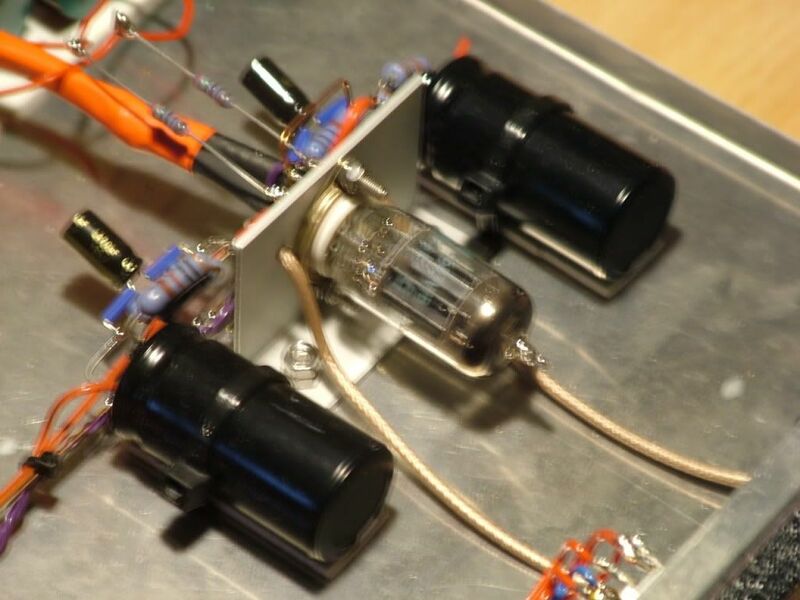 The Tin foil Teflon V-Caps were top of the pile way back when I brought this preamp. Was going over a few thoughts earlier tonight concerning Dueland caps and thought hang on a minute, those Dueland .47 400V I got for my killer amp build are the same value as the V-Cap output in this pre.....MMMMMM. Just installed the caps and played 3 songs off SG's Gynt disc. OMG they already sound better than the V-Caps ever did. I'm in for a treat when these babies run in. Bugger I will have to buy some more. So what happened about the "Truth" and nothing but the ......... ? be matched to an appropriate amplifier/speaker setup. OIC - you were driving them with a NAKSA IIRC - I gather the results are still good with the SET. Just re-reading old stuff here and noting Tuyen's query re the shunt wired pot, I tried this in my amp with an Alps Blue and an AN tantalum load resistor, much better than the Alps Blue, but not as good as my Takman Metal film stepped attenuator. Theoretically, the stepped attenuator provides greater accuracy WRT channel balance as the resistance of the tracks in a pot can vary quite a bit between one channel and the other. Worth noting in this context, if the stepper is wired as a shunt type then different load resistors can be tried to vary the sound whilst retaining the accuracy of channel balance. 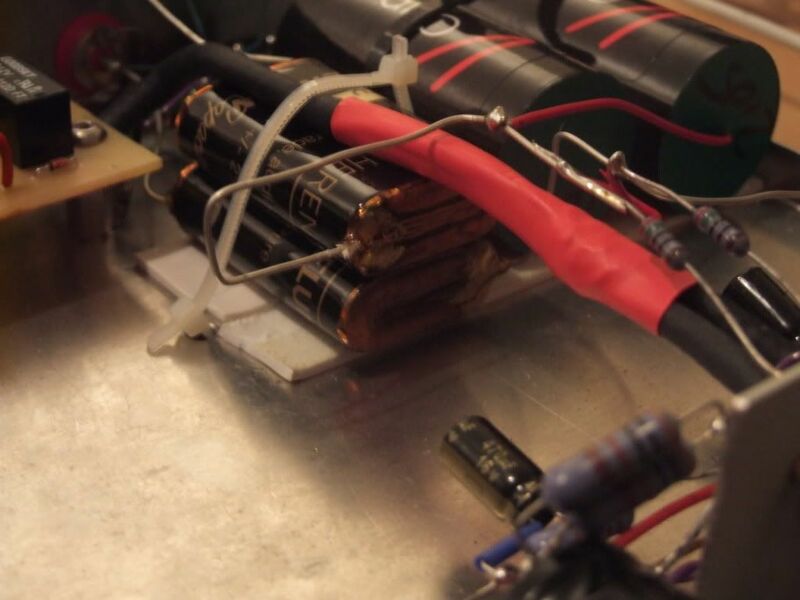 I am presently using an AMRG 2 watt carbon as load resistor on my Takman metal film stepper. All signal to the circuit passes only through the load resistor, the pot merely drains a variable amount to ground, so only 1 quality resistor is required and it is relatively cheap to try different types. Apologies for the digression, although the content seemed appropriate here. "OIC - you were driving them with a NAKSA"
mono blocks (30db gain) with the Ultras. Pretty sure this setup will really sing. I quite believe that the shunted arrangement you have there would be optimal, the signal effectively passes only through the Shinkoh which is only 1, very high quality, resistor. 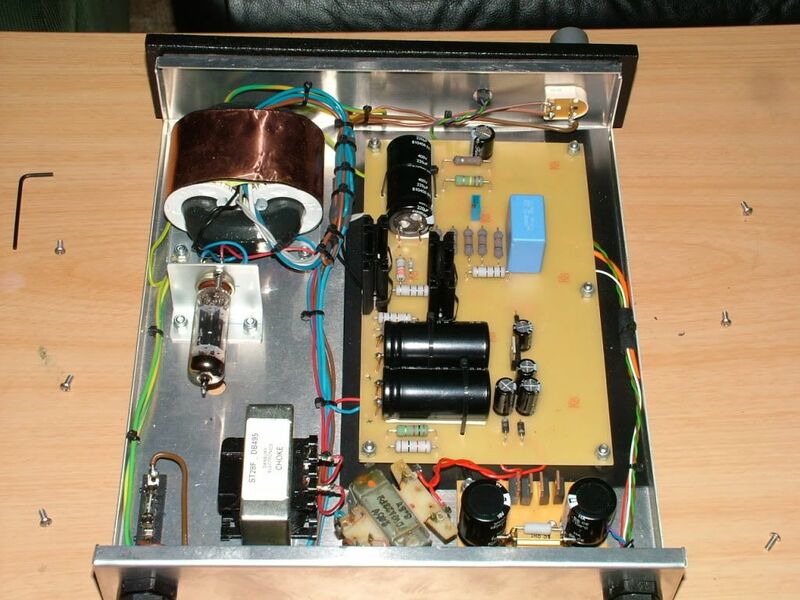 I recall a discussion with AndyR from SNA about this some years back, it might have been in relation to an AKSA preamp and involved a TKD pot shunted with Vishay Z-foils. I know what you mean about the Dales, my previous stepper was a ladder type with Dales and it did lean to the pale and washed out side of things. My present arrangement is similar to your arrangement in that the signal passes through only 1 resistor on the way in. The king is dead or Out with the old in with the new!! Rang MikeL. Whaddya know he had 4 x 0.47uf's in stock and did them at a nice price for me. A point of clarification in regard the shunt style arrangement being discussed. The leg to ground (the pot) as actually a very significant, and probably the most significant 'flavouring' component in this setup. The current path is from source thru the series resistor acting as a voltage divider thru the pot to ground. The voltage seen at the grid (which is a high input impedance) is the resultant I*R across the pot. Thus the signal that the grid is seeing is actually the vlotage appearing across the the pot from the current flow thru it. I noted that GAMVE commented that the pot seemed to be paralleled across the tantalum resistor which suggests that the shunt arrangement drawn earlier is probably not how it is aranged. Assuming that the pot is indeed parallelled across the tantalum, it is possible that the tantalum itself is the 'shunt' leg as you discussed above and there is another fixed series resistor, in which case the pot will act to vary the shunt leg to ground in a continuous manner. In this arrangement the sonic influence of the pot increases as volume increases. Option B is that the series resistor is the tant and the pot is paralled across it using a fixed shunt to ground ie also a variable voltage divider. This is a less likely setup because it creates a greater variation in the input resistance. BUT the sonic flavour is more consistent with volume because the leg to ground is unchanging. Stepped attenuators will provide lower noise injection than a carbon film pot. That is an additional attraction to the greater channel balance that you mention. One also then has a defined sonic flavour from a particular style of resistor and have the ability to play. A series shunt (switching both series and shunt) is the best way as there are only ever 2 resistors in the pathway at this position.